Li Qun (1912-2012), one of the pioneers and founders of the burgeoning Chinese printmaking industry in the 20th century, Honorary Chairman of the Chinese Association of Printmakers and Honorary Chairman of Literary Federation of Shanxi Province, passed away peacefully at the age of 100, in Beijing on February 11th, 2012. His death was announced by his family, he died in hospital of a pulmonary failure. 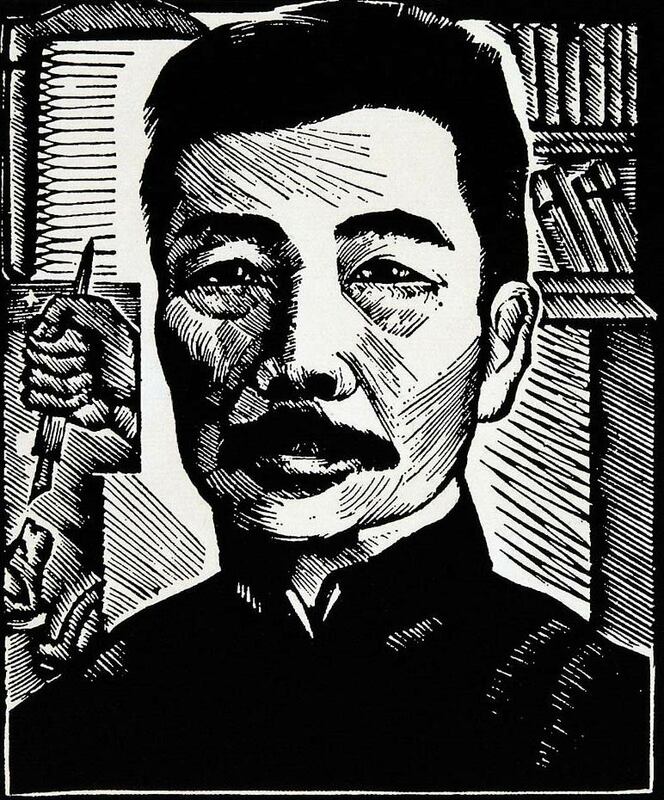 As the most internationally acclaimed artist and printmaker, Li Qun’s woodcut Lu Xun is currently used worldwide as a standard picture of the famous 20th century Chinese writer Lu Xun. 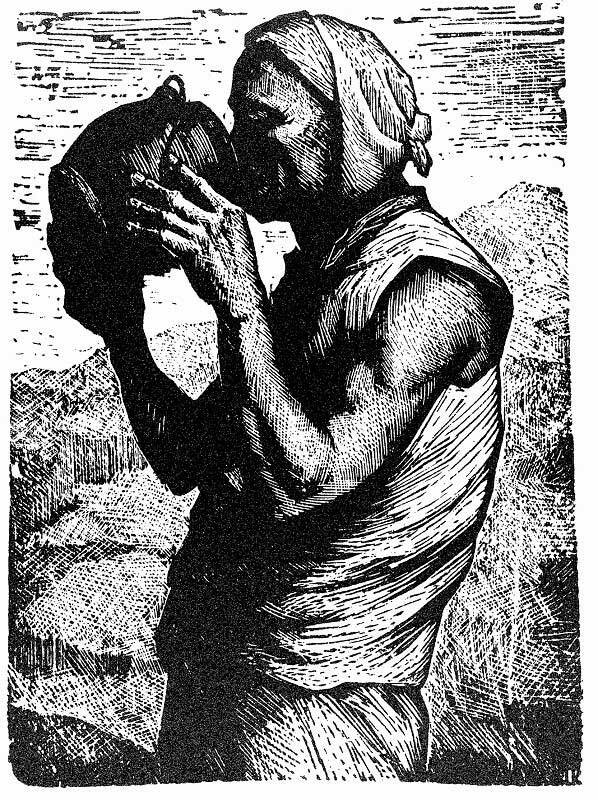 His Drink created during the Yan’an period rivals the best in woodcuts and is in the British museum collection. 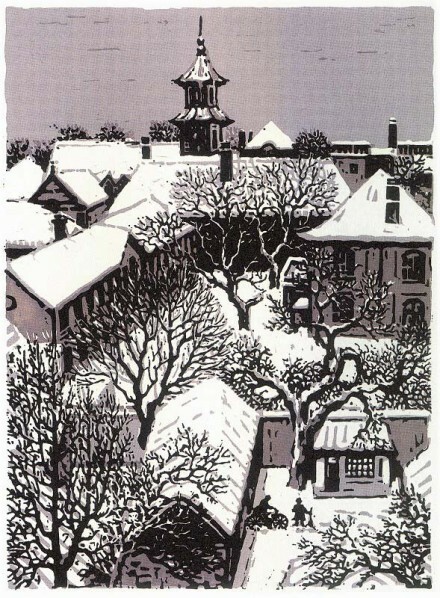 His Winter Snows in Beijing is in the Russian Museum of Art collection and collections of his works have spread to museums, art galleries and libraries in France, the United States, Japan and other countries. 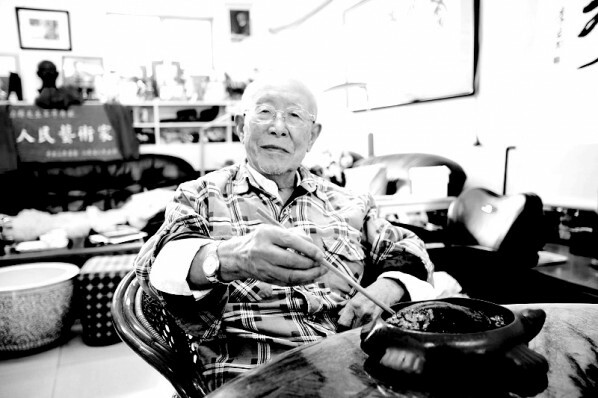 During his art career, Mr. Li Qun won the “Outstanding Contribution Award for Chinese New Engraving”, “The Achievement Award from the Fine Art Golden Color Prize of China” and other awards. Mr. Li Qun contributed all of the prints he created late in life to his hometown—county of Ling Shi in support of the development of printmaking in Shanxi and the preparatory work of the Li Qun Museum of Art. In 1992, He was granted the designation of “People’s Artist” by the provincial government of Shanxi. 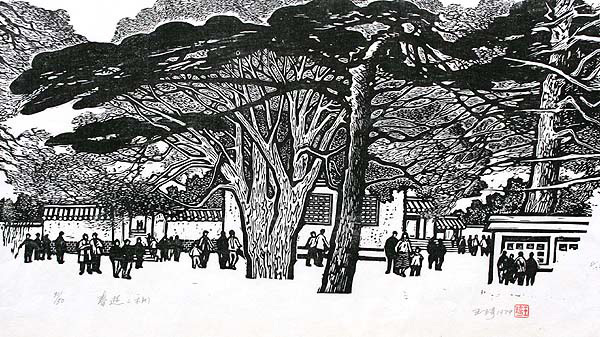 In 1931, Li was admitted to the Hangzhou National Art School and in 1933 organized a Woodcut Research Association there, and then began to make woodcuts, aimed at depicting the life of the masses. In the same year, he participated in a left wing artists’ alliance. In 1940, he arrived in Yan’an, where he took up teaching at the Lu Xun Art Academy. Then in 1942, he participated in the Talks at the Yan’an Conference on Literature and Art, where Mao set the guidelines for art in the future People’s Republic. In July of 1949, Li attended the first national congress of writers and artists, and was elected as a committee member of the China Federation of Literary and Art Circles and managing director of the national art worker’s association of China. Then he went to Taiyuan and was appointed as director of the Shanxi Federation of Literary and Art Circles and as editor-in-chief of the ocal magazine Pictorial of Shanxi. 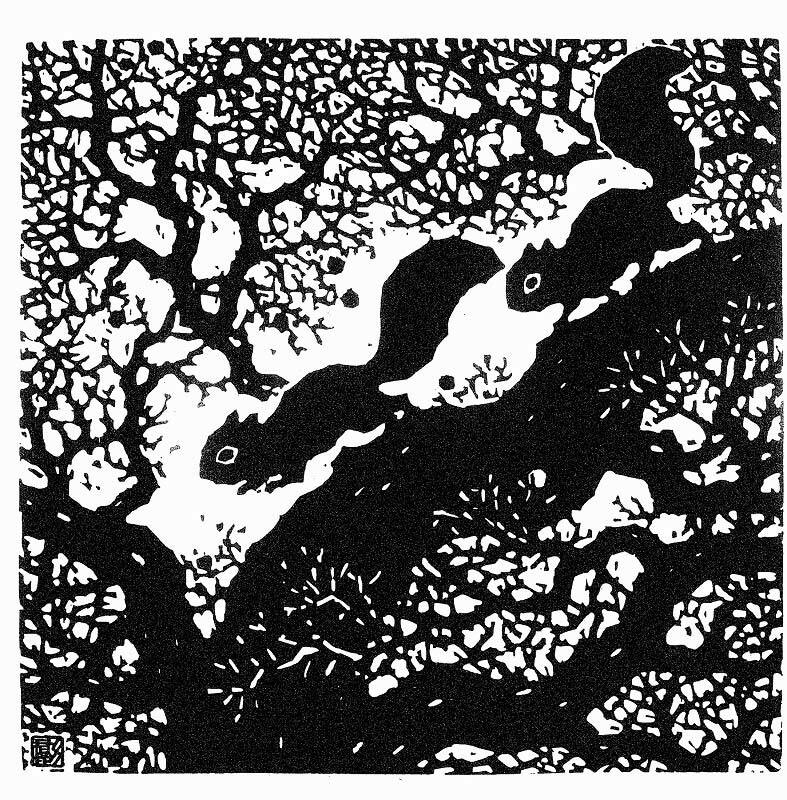 In 1952, he moved to Beijing, where he worked in the editorial office of the People’s Fine Arts Publishing House. He was also involved editorially with the journal Fine Arts (Mei shu). 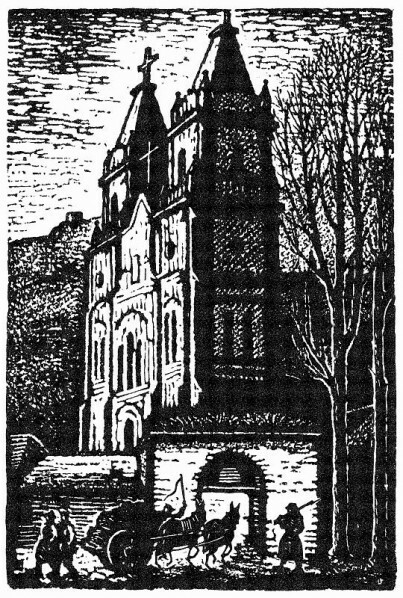 In the 1960s, he traveled through China, making woodcuts. He returned in the late 1970s to take on various ceremonial functions at Taiyuan, Shanxi Province. Since 1977, Li has been president of the Shanxi Province picture studio, committee member of the China Federation of Literary and Art Circles, managing director of the China Artists Association, and vice-president of China Woodcut Association. 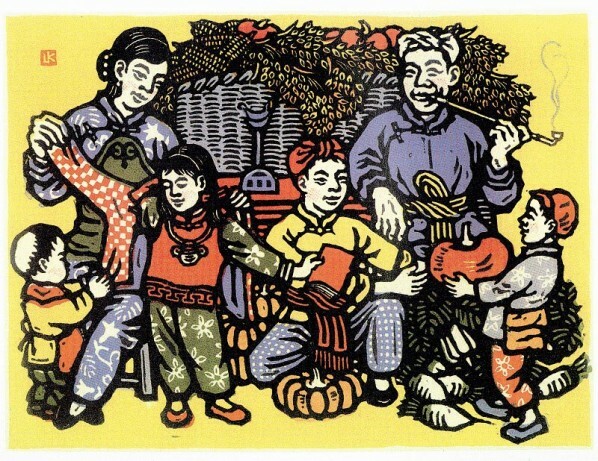 The modern woodcut in China wouldn’t have developed without the great advocacy of Lu Xun. 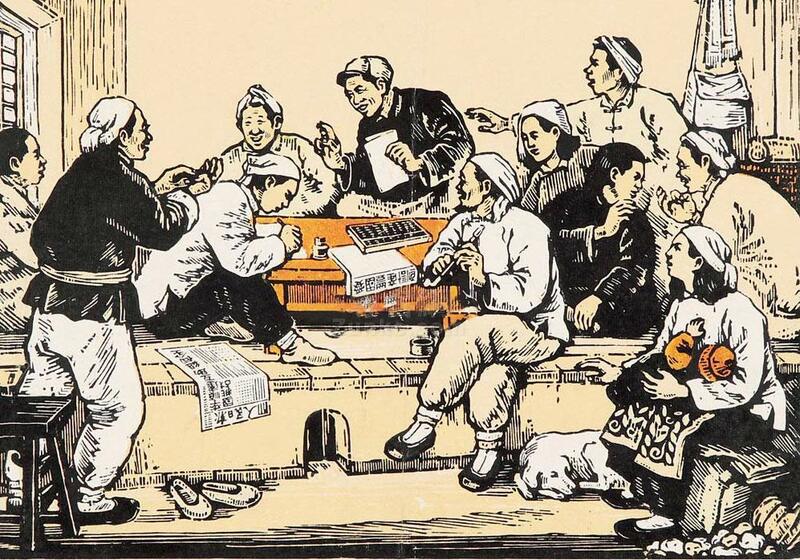 An activist by nature, Lu encouraged many young artists, who had adopted revolutionary ideologies from Europe in their search for ways to modernize China, to use their art as a tool for revolution. Sitting in the first row, Li listened carefully and excitedly discussed the idea with others. It was this conference that helped Li to understand what true art was and whom art was supposed to serve. After the conference, Li used the idea of serving the masses and serving socialism as guidelines in his art. Li strongly believes that art should serve the interests of the masses–the workers, peasants and soldiers. The masses should be the only subjects of art. According to Mao, the lives of the masses must be the sole source of the raw material of art, and the artist’s work is to process the raw material made from observations of the masses into a more typical and idealized form. Revolutionary artists must go among the masses of workers, peasants and soldiers and into the heat of battle without reservation to observe, experience, study, and analyze all the different kinds of people, classes and masses, all the vivid patterns of life and struggle, before they are ready for the stage of processing or creating. Artists are to praise the bright side of the masses and should obviously praise their toil and struggle, their army and their party. Li’s representative woodcuts are Spring Night, Taihang Mountain Scenery and Guayeju. These woodcuts are part of the China National Museum of Arts collection. Li’s published works include Woodcut of Li Qun, Selected Prints Works of Li Qun, Collection of Thesis of Fine Arts of Li Qun, and Woodcut Lecture. 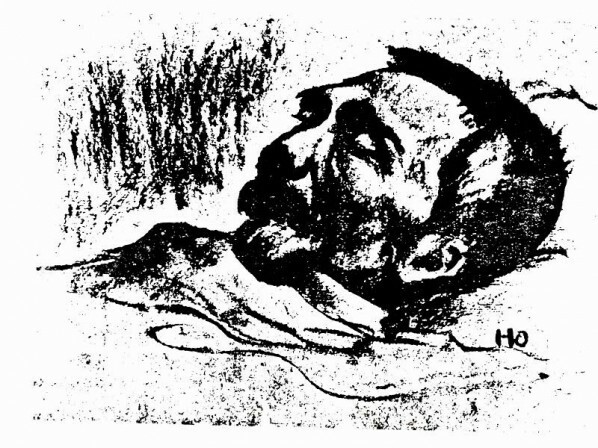 The woodcut Disease in 1993 depicted the tribulations of persecuted Chinese people through the vacant eyes and bony hands of a patient.